My favorite time of the year has arrived! 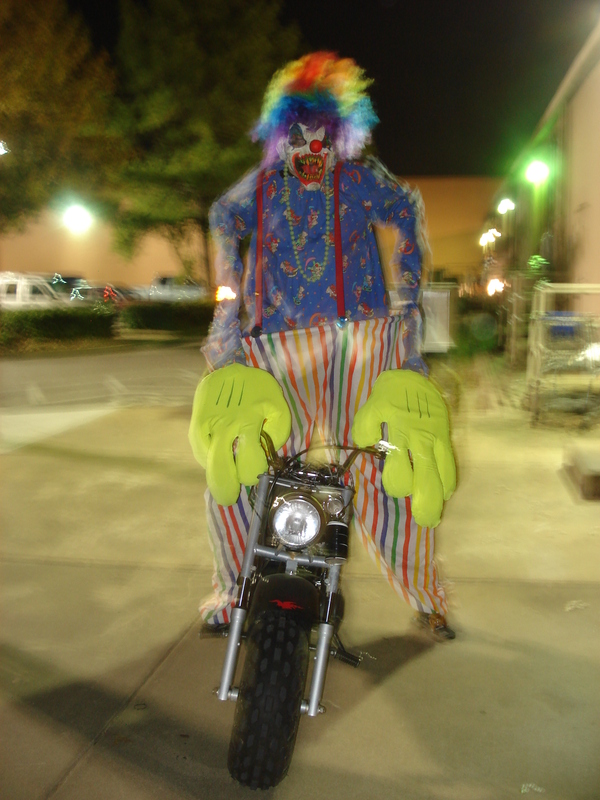 Dates and Times: October 7-8, 14-15, 20- 22, and 27-31, 2011 Doors open from 7:30 p.m. to 10 p.m. on weeknights and 7:30 p.m. to midnight on Friday and Saturday nights. 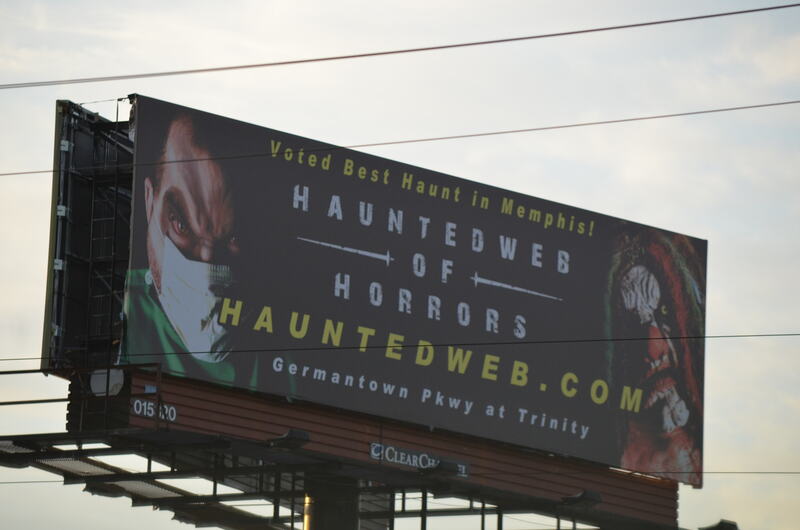 Admission: $10 per haunt or $18 for both haunts. Tickets available on-line or at the door. R.I.P. Passes $30 available only at the door and allow you to skip the lines. 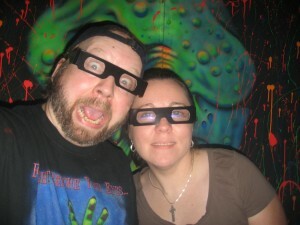 Description: The Hauntedweb of Horrors serves up two separate haunts: Dark Matter – This visual thrill of darkness and light, coupled with 3D glasses, is designed to frighten you out of your mind. In Tormented you’ll enter Dr. Hacker’s twisted insane asylum, then get discarded into the Dark Bayou where you must escape a hillbilly nightmare. Dates and Times: Fridays, Saturdays, and Sundays in October plus Halloween night. Description: Gore-Dova, the newest haunt on our list, will include a vortex, claustrophobia squeeze, and other scary effects. 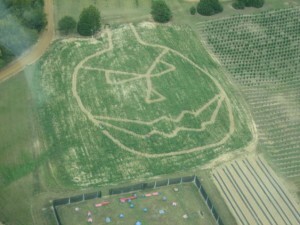 Description: The Corn Maze at the Agricenter International is a maze of twists and turns through a corn field. On Fridays and Saturdays in October, the Maze is haunted with spooks and ghouls designed to scare you silly. Description: Family friendly event featuring: Not-So-Haunted-Tour of Primate Canyon, Ballet Memphis Performances, Playhouse on the Square, FRED’S Trick-or-Treat Stations, David Winker’s Icemen (NEW), Straw Maze (NEW), Magic Shows, Dracula’s Disco, Painted Pumpkin Patch, Haunted Hayride, Zoo Boo Photos (additional fee applies), Singing Pumpkins, Animals of the Night exhibit, and more! Description: This is a tour through a historic bed and breakfast in Bolivar, Tennessee that has had numerous ghost sightings and reports of other paranormal activity. This year, three teams of paranormal investigators will be on hand to detect any activity and to answer any questions. After the tour, board a bus for a ride past other haunted places in Bolivar. Description: The Trail of Terror is a haunted walk through the dark woods with spooks and scares around every corner. This event is not recommended for children under 10, pregnant women, or people with heart conditions. Dates: Friday and Saturday nights in October plus October 30 and 31, 2011. Times: 7:00 p.m. — 11:00 p.m. Admission: $10 for Trail of Terror, $16 for both Trail of Terror and Terror at 2596, and $20 for Trail of Terror, Terror at 2596, and corn maze (the corn maze is not haunted). Location: Terror at 2596 has moved! 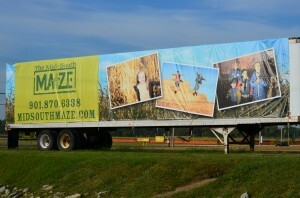 Its new location is at Jones Orchard, 6880 Singleton Parkway in Millington. Times: 7:00 p.m — 11:00 p.m. Description: Terror at 2596 is an outdoor walk-through haunted attraction that promises two acres of pure heart-pounding scares. 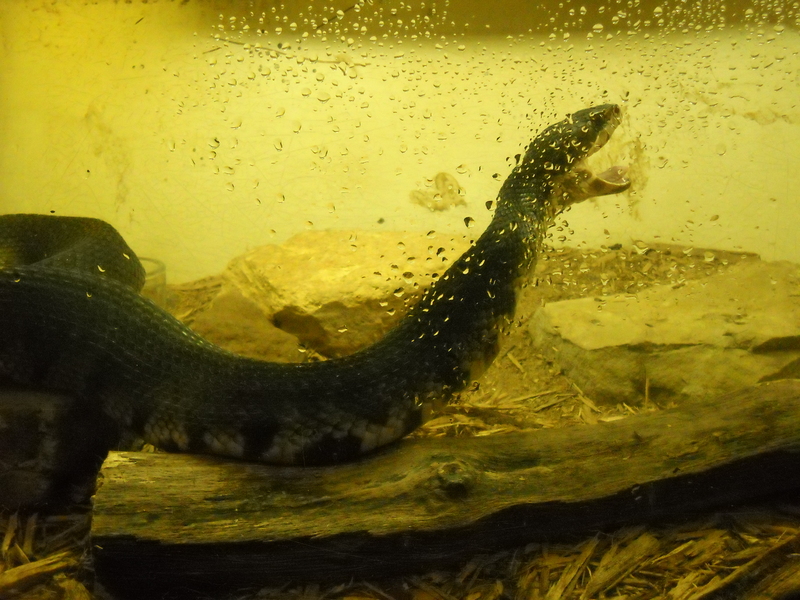 Admission: Children: 2-12 years old- $6, Adults: 13 and over- $8, under 2 years old- FREE with one paid admission. Last ticket sold one hour prior to closing time. 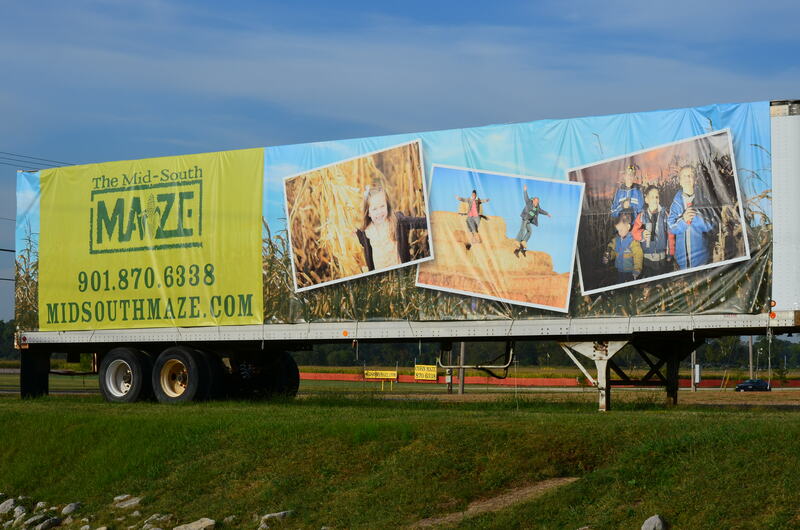 Description: Admission includes: 1. hayrides to and from the Maze, 2. both the huge eight acre Maze and the Mini-corn maze, 3. Maze gamesheet and secret decoder maps, 4. the Fun Zone play area, 5. the Picnic area, and 6. access to the Pumpkin Patch. Pumpkins are purchased individually. Bring your own flashlight or rent one at the farm. Farm Market with pumpkins, gourds, straw and cornstalks; Gift Shop; and Concessions available on WEEKENDS. Secret map decoder glasses for sale. Description: Family friendly event featuring: costume contest, scavenger hunt, costume parade down Pigeon Roost Rd., Jack-o-lantern contest, chili cook off, and more! Description: Family friendly event. Enjoy lots of spooky crafts and goopy experiments. Vote in the CMOM Staff Costume Contest. Don’t forget to wear your own costume to take part in a special drawing to win a museum membership for your family! Don’t miss this ghoulish good time! The event is included with museum admission. Description: Featuring: Spook Trail, Haunted Hayride, Headless Horseman, and more! Description: This seasonal event is free family fun out at the barn and will be held rain or shine. Pony rides, face-painting, carnival games, trick or treating and much more! Costumes are highly encouraged. Drawings and door prizes will be held throughout the event. Call 662-4490968 for more information. Dates and Times: Friday/Saturday 8P.M-1A.M, Sundays 7:30 – 10:30, Monday (Halloween Night) 7:30P.M-10:30P.M. Description: Nashville Nightmare is a brand new Haunted Attraction for the 2011 season and consists of two Attractions in one location; The Madison Square Mortuary and Graves Manor. Description: NECRO-POCALYPSE: Rise of the Dead , and a Brand New Attraction for 2011- Death Yard’s Monster Midway! A terrifying twist on face painting, carnival games, and paintball! Dates and Times: Friday/Saturday (only) 7P.M-1A.M, Sunday (Oct30) and Monday (Halloween Night) 7P.M-10P.M. Description: The only indoor haunted house in Sumner County! Location: Ruby Falls, 1720 S. Scenic Hwy in Chattanooga, TN 37409- just minutes from downtown Chattanooga. Dates and Times: Friday, October 28 through Monday, October 31, 2011 Final Night of Fright: Friday, November 4, 2011. On site ticket sales begin no earlier than 7:30pm. The attraction opens no later than 8:00pm. Ruby Falls Haunted Cavern is open until 10:00pm on Sundays and until 11:00pm on Fridays & Saturdays. Will stay open later to accommodate patrons on busy nights. Description: Descend 26 stories underground…where no one can hear you scream! Not in the mid-south? Then check out www.HauntWorld.com to find Haunted Houses, Haunted Attractions, Corn Mazes, Haunted Hayrides, Ghost Tours, Paranormal Investigations, Pumpkin Patches, Kids Events, and more by city or a state near you. I’ll have a special Halloween blog in 3-D next week, and the following week I’ll share with you some of my Halloween adventures in New Orleans with the new Mrs. Workman!